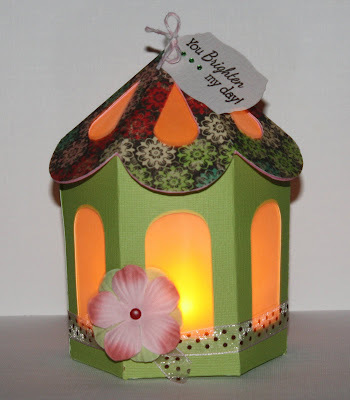 Terrific Tuesday Challenge - Straight from the Nest! The bird and perch are just 2 layers then I added twine, a black gem for his eye, and a tag from Once Upon a Princess (my go-to cart for tags - I love them!). The blue bird is cut from some really fun glitter paper that I just got from Joanns - it cuts really nice and the glitter isn't extreamly loose like some other glitter papers I have used. The best part is that they were on sale for 5 for a $1 - what a deal! 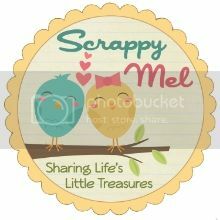 :) The sentiment is from our Scrappy Moms Stamps Quirky Quotes set. 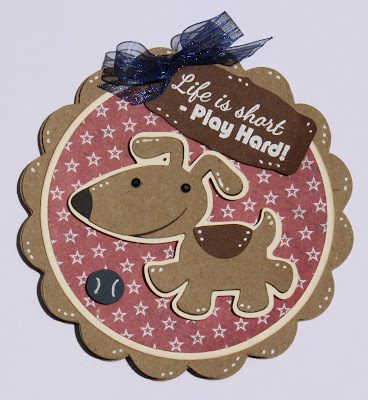 I hope you enjoyed my card today - please come and play along with us. I hope that you all have a wonderful week! Happy Friday!!! Here's to hoping everyone has a WONDERFUL weekend! And just look how adorble this little puppy is guarding your page for you! 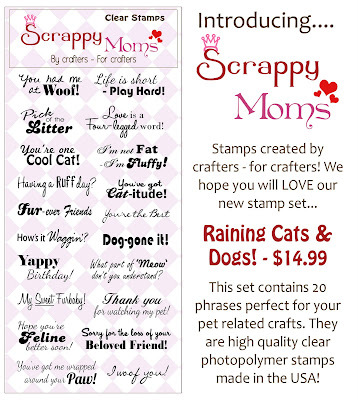 New Scrappy Moms Stamps Set - Raining Cats and Dogs! Thank you so much for stopping by today! 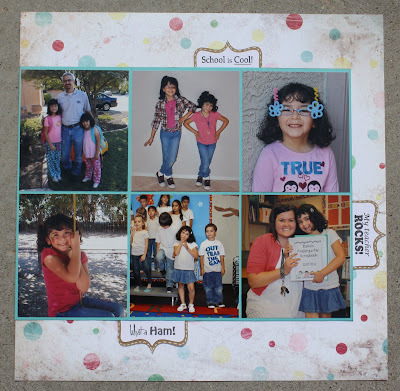 Be sure to vist the rest of the Design team all this week - including our August Guest Designer, Saundra from Luv Scrapping Together - for more projects from Raining Cats and Dogs and School Days. 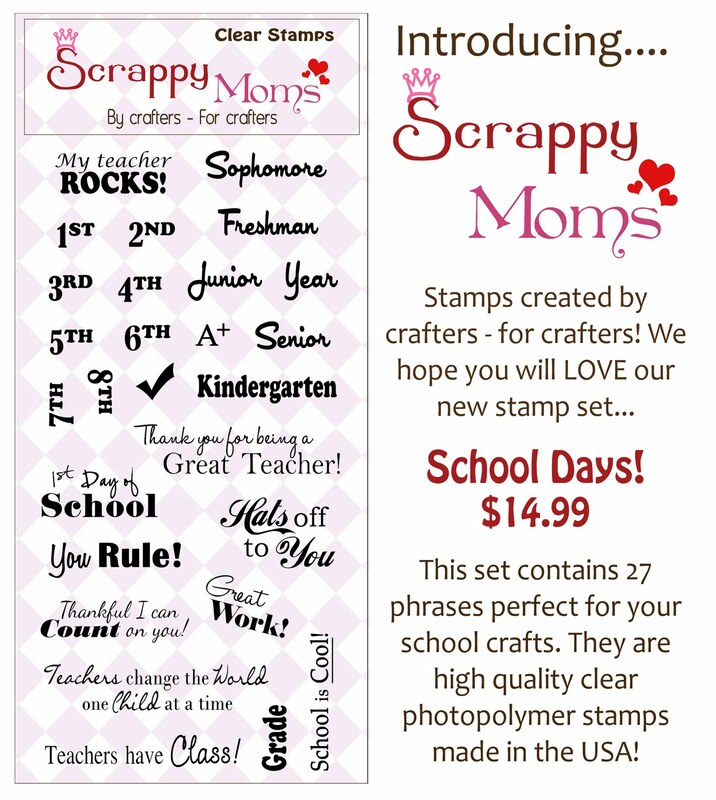 Scrappy Moms Stamps Back to School Hop! Welcome, welcome! 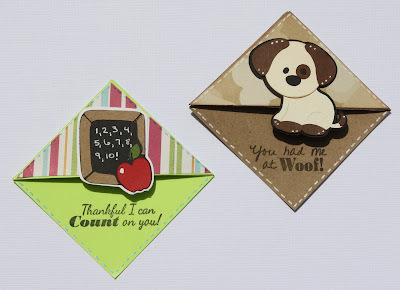 Thank you for joining me today for my project on the Scrappy Moms Stamps Back to School Hop! 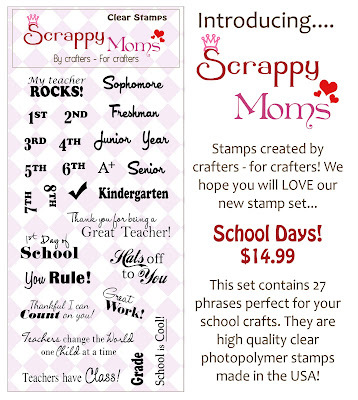 I used our brand new SMS stamp set - School Days (and one stamp from Kids Inc). Be sure to stop by an visit the rest of the DT - including our August Guest Designer, Saundra from Luv Scrapping Together - this week for more sneak peeks of School Days and another brand new SMS set! Your next stop on the hop is the super sweet and wonderfully crafty, Bonnie at Pink Bon Bons! 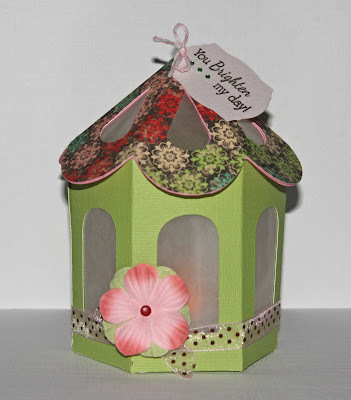 Welcome to the Birds and Birdcages Hop hosted by Sandra (365 Days of Cricut)! Wasn't Celeste's project fabulous!? 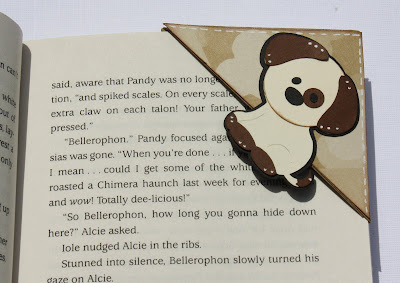 Thank you for "hopping" by - I hope you enjoyed my little project! Your next step on the hop is the very crafty Monica. Terrific Tuesday Challenge - Pack Your Bags! I used a little stickles on her drink and lips for just a touch of glam. 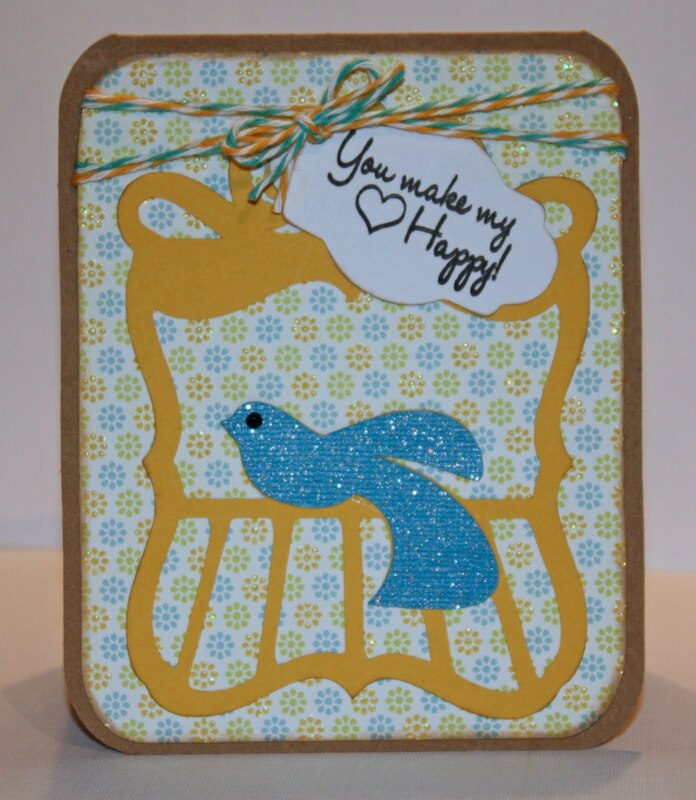 The sentiment is from SMS Quirky Quotes set and the bakers twine is also from Scrappy Moms Stamps. 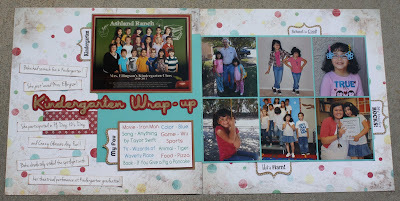 Please come play along with us for this weeks Terrific Tuesday Challenge! 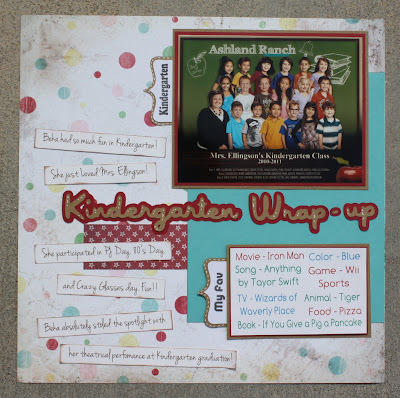 Be sure to check out the rest of the DT's projects too. 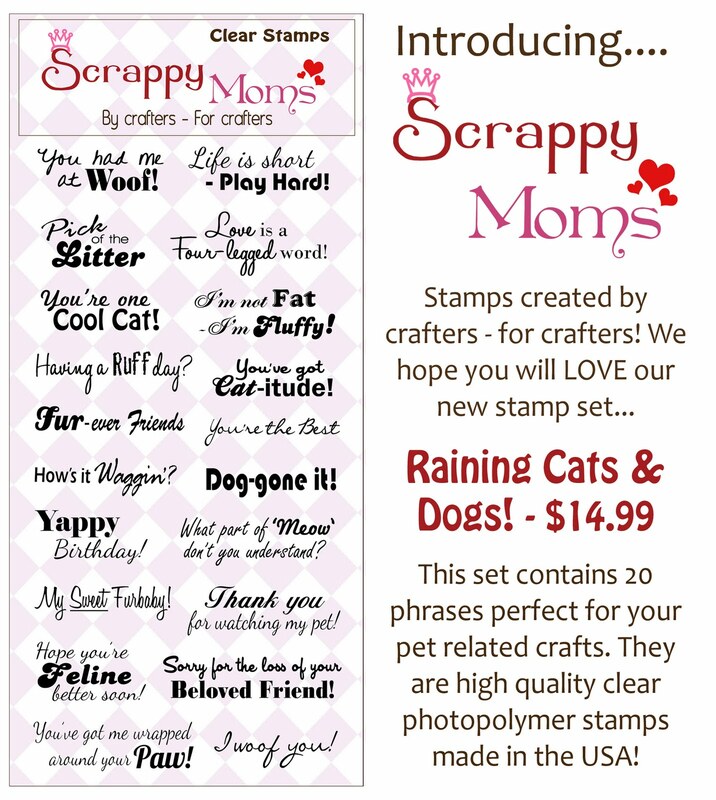 We are going to have a Back to School Hop on Friday, please come join us for a chance to win a Scrappy Moms Stamps set of your choice! Thank you for visiting me today - I hope you have a great one!